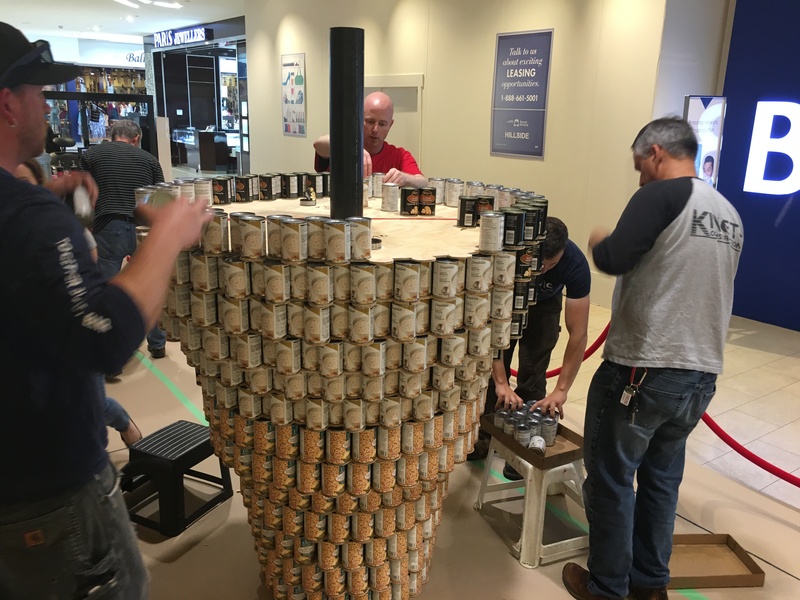 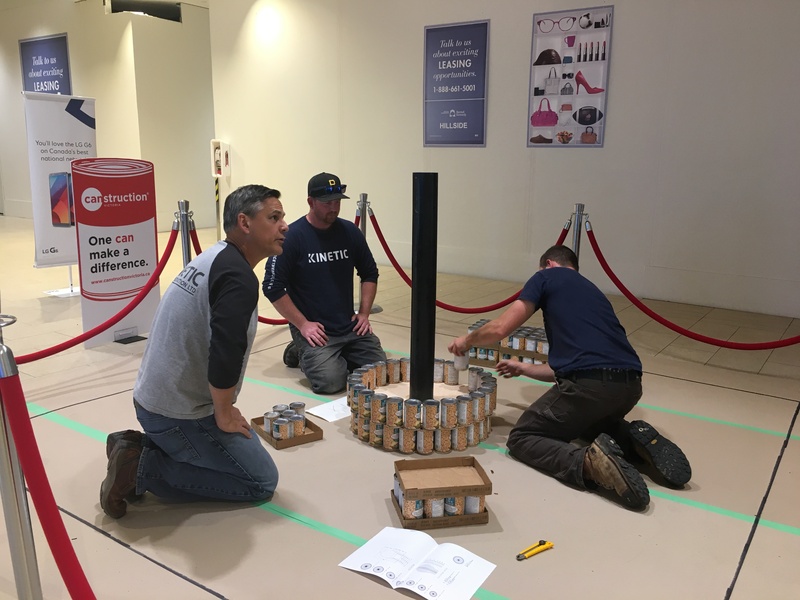 It was a sunny Friday afternoon on June 2, 2017 when the Kinetic Canstructors gathered at Hillside Mall on Hillside Avenue in Victoria to begin construction on Kinetic’s cone of contribution. This annual event is put on by The Dahlia Society, with all food and funds raised going to support community partner The Mustard Seed. 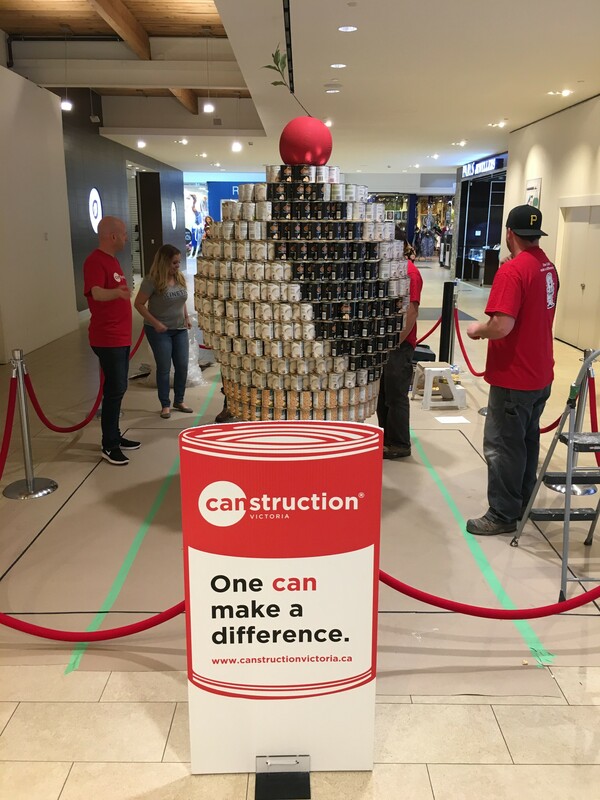 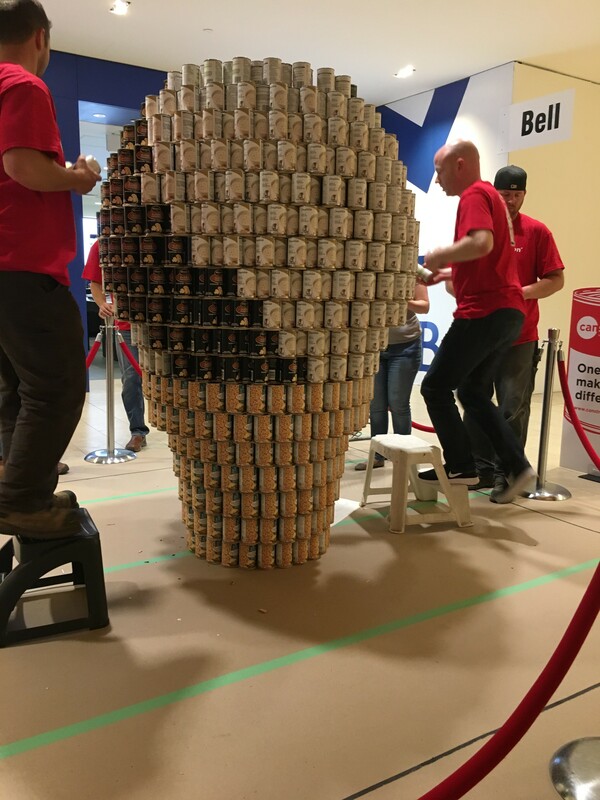 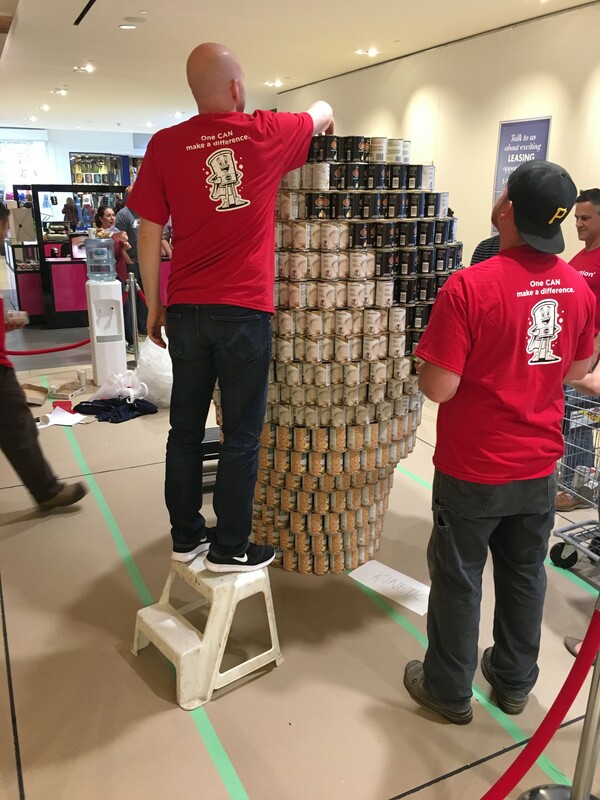 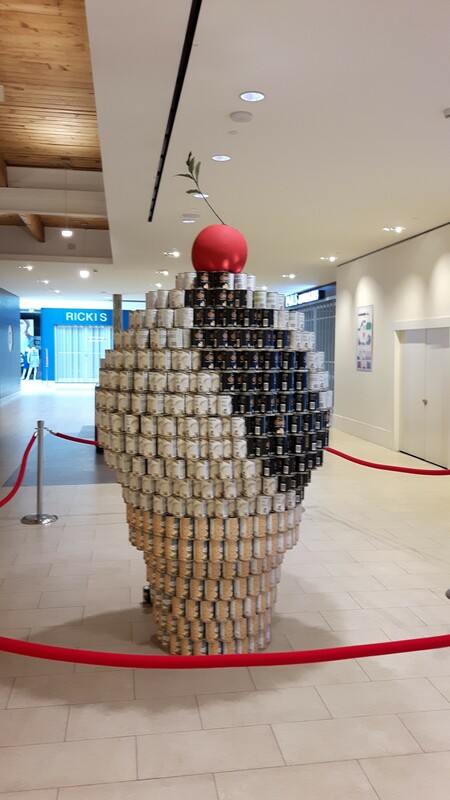 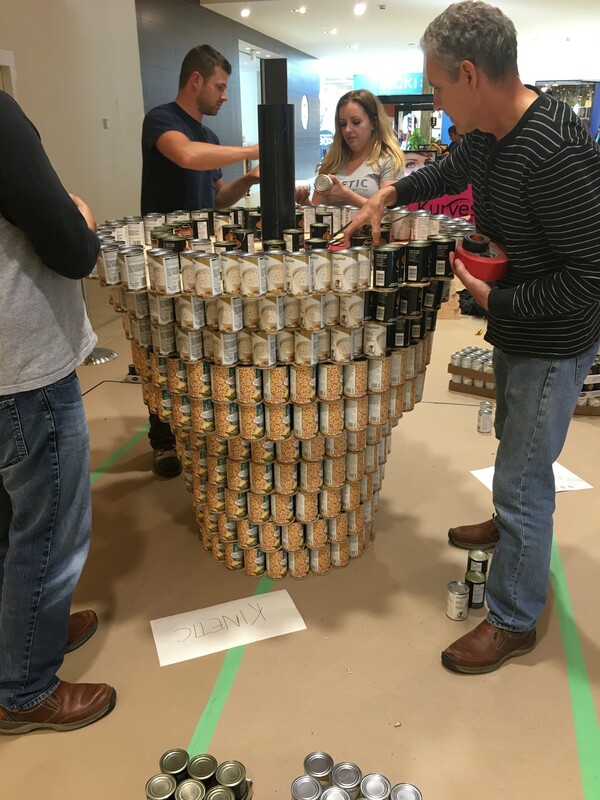 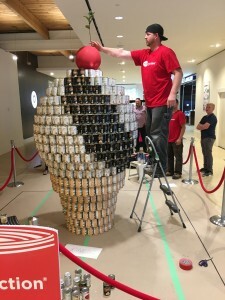 Canstruction’s One CAN Make a Difference initiative has been put on by the Society for the last four years. 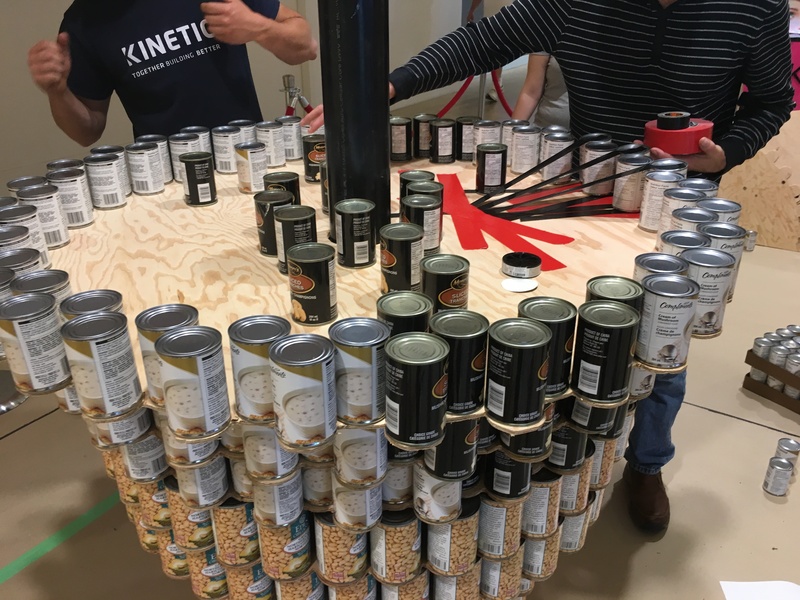 Although this was Kinetic’s first year participating in this event, we were the first team ever to complete the build of a structure on build day one! Kinetic teamed up with Joe Newell Architect Inc. this year and the cone of contribution was born. With a ‘Yes We CAN’ attitude, an impressive team effort and enthusiasm as well as our Lean processes, the structure was completed in half the time! 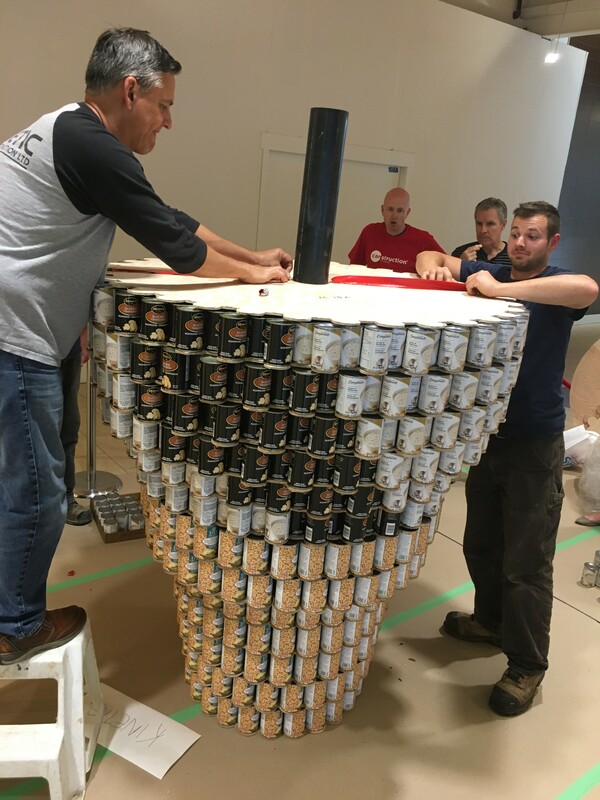 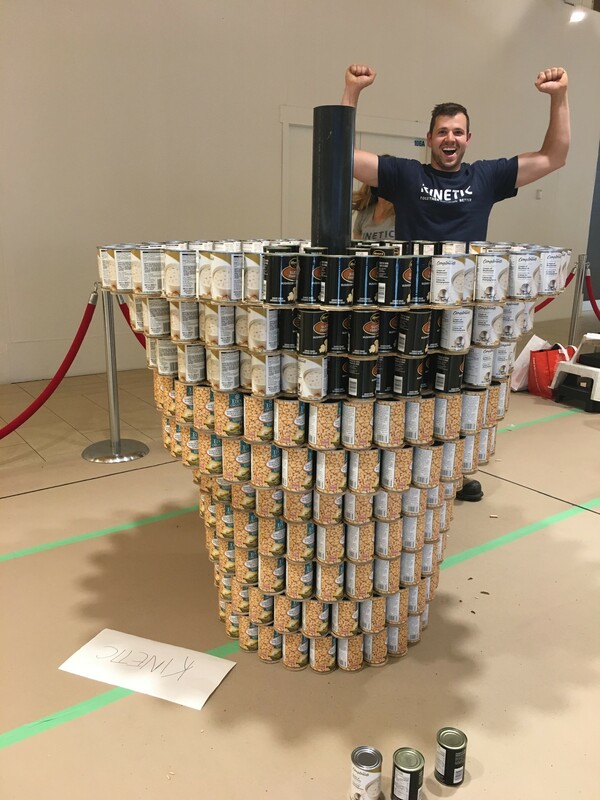 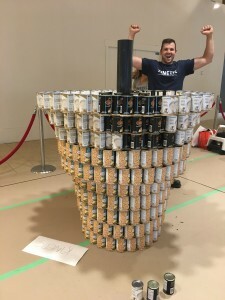 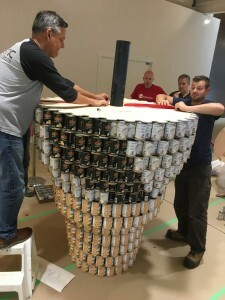 A very special thank you to Kinetic’s team of Canstructors: Eric Lindokken – Team Captain, Margaret Newell, Kieren de Turberville, Craig Timmer, Mark Liudzius, Rick Johnston, Theresa Henriksen, Chris Chalecki, Brianna Belzile, Dennis McCallum, Tanya Twinn, Jay Tottle, Nomfundo Dlamini, Desmond Howe, Jessica Sidhu, Neil Edwards and Tom Plumb, who was on hand providing strategic support and much needed reinforcements! 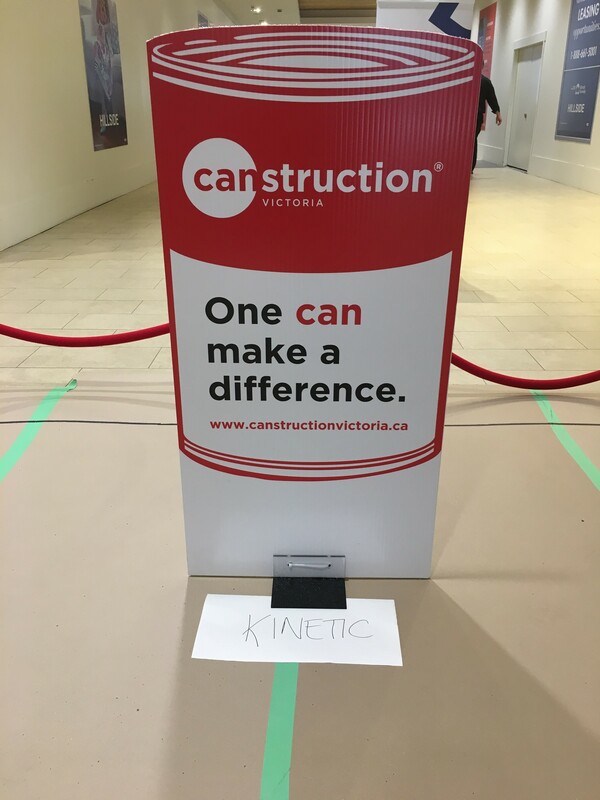 This is just another example of Kinetic’s active involvement within our local communities; we do not just give, we give cheerfully! Congratulations and way to go team!